All Beers are $1 off! Check out Mister C's LIVE Facebook event Cocktail Corner every Wednesday at 5pm with FREE cocktail samples! You get a complimentary ocean view with every meal and cocktail...who else offers that? It's the best place to watch full moons! See Karen and the team whip up some awesome new cocktails for your drinking pleasure! Available on the bar level only. Excludes Holidays. $24 2-Course Lobster Night Every Sunday! Full Moon Watching, 2 Courses for $22! WELCOME TO MISTER C'S! The Ultimate Jersey Shore Summer Location!! 180-degree, unobstructed ocean view? Check. 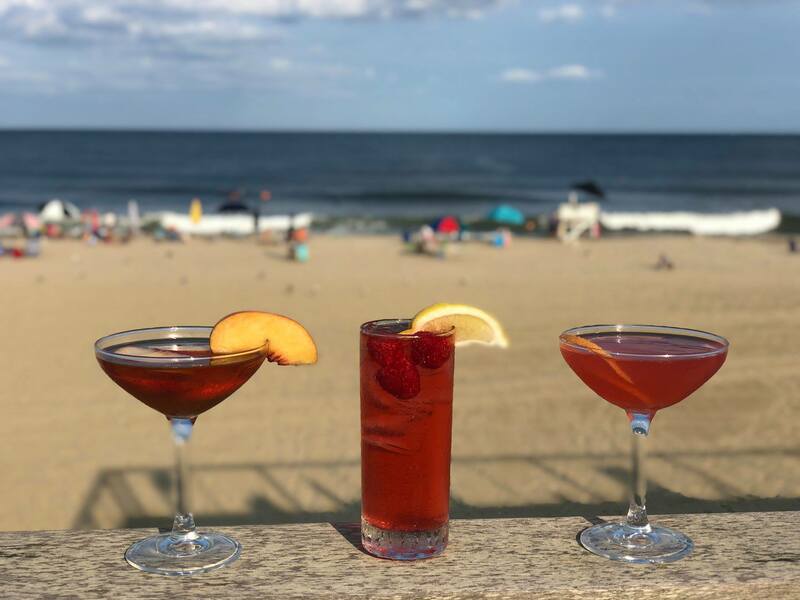 Specialty Martinis & unique cocktails shaken by award-winning bartenders? Check. Fresh, gourmet, expertly prepared seafood and Americana? Check. Outside bar and deck, beach-facing patio and rooftop tables? Checkmate!! ***NOTE***Kitchen is open until 9pm Wed, Thurs and Sun and 10pm Fri and Sat.